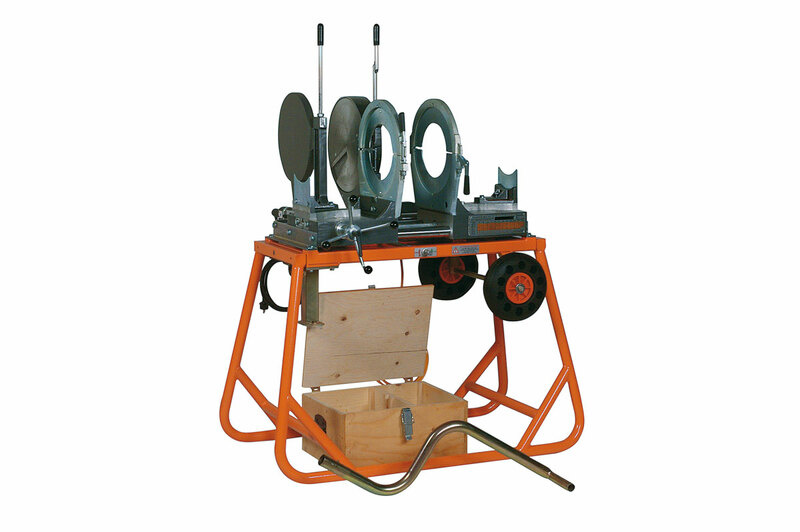 MAXI 315: a professional welding machine ideal for medium sized pipes and sewers up to Ø 315 mm. It consists of a machine body with pressure regulating device, a pair of clamps, two lateral supports, an electrically controlled milling cutter for levelling the ends of the pipe and/or fitting with a safety microswitch, an extractable heating plate with automatic electronic device to control the temperature, a sliding support, a tip-up metal frame on wheels that acts as a work bench and protection when transporting the machine. 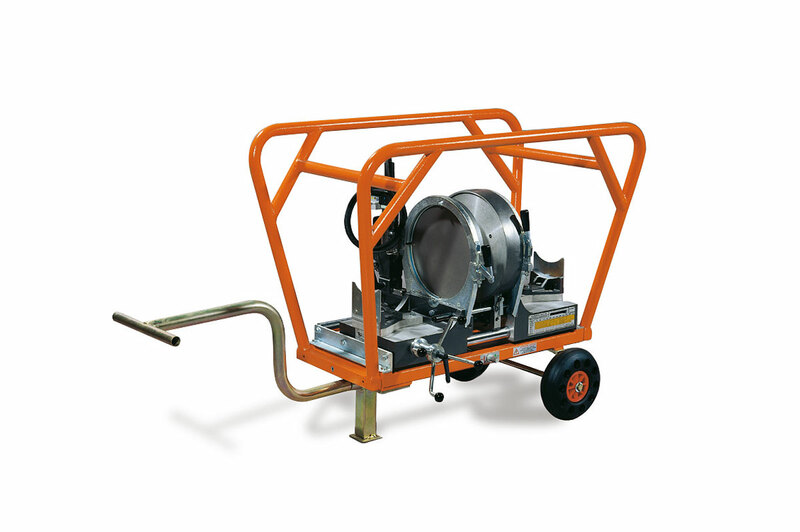 The MAXI 315 can weld fittings such as bends and tees. Branches can also be welded thanks to the single clamps (available on request) indicated for all diameters in the working range.